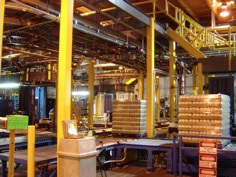 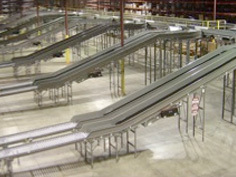 We design conveyor systems as part of a material handling system to maximize the use of space, time, labor and inventory. 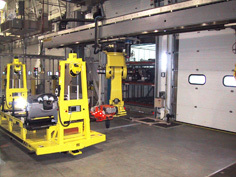 Workflow is optimized, throughput is managed, and maintenance requirements are minimized using in-built diagnostics and comprehensive system reporting. 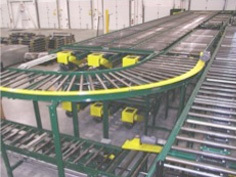 We offer a full range of case- and pallet-handling conveyors, conveyor systems, and controls for warehouses, distribution centers, postal and parcel operations, airport baggage handling operations, and manufacturing facilities.